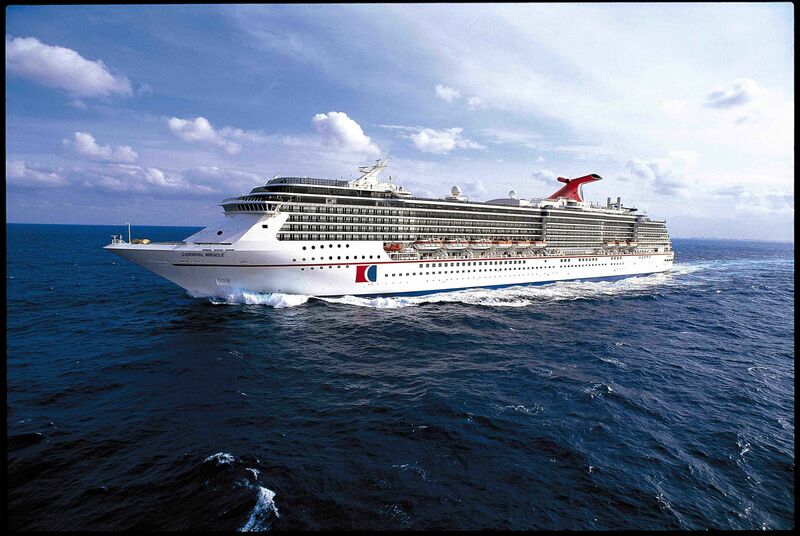 Carnival Cruise Lines is expanding its presence in New York City, with the Miracle offering year-round service from the Big Apple from the spring of 2012. This is great news for families in the New York metropolitan area who are looking for a great pay-one-price vacation, without the hassle of flying. Choose from three distinctly different eight-day itineraries, each visiting a diversity of tropical destinations throughout the Caribbean, Bahamas and Florida. This fun-loving cruise line caters to families, carrying more kids each year than any other. The Miracle is rolling out several entertaining features that should appeal to families who enjoy spending time together on the high seas. If you’re looking to tickle your funny bone, the Punchliner Comedy Club is a newly launched partnership with comedian George Lopez. Lopez is acting as a consultant on the vetting and hiring of both established and up-and-coming comedic talent. If you don’t think of Lopez as a G-rated comedian, never fear, the first two early evening shows promise squeaky-clean fun for the whole family. The show lasts only 35-minutes, perfect for shorter attention spans. If your crew prefers their merriment in the morning, the new Punchliner Comedy Brunch presented by George Lopez debuts on the Carnival Miracle and offers up heaping servings of laughter along with a culinary feast. Short and sweet comedy performances take place while you dine, with the routine lasting around five minutes. Lopez’s influence can be seen on the brunch menu, with items like a breakfast burrito and churros inspired by the entertainer’s Mexican heritage. There are plenty of choices for little appetites, with offerings like macaroni and cheese and French toast. The Punchliner Comedy Brunch ends with a decadent dessert menu that is loaded with confections that the entire family will be tempted to indulge in. The Miracle has a new casual dining option, The Taste Bar. It features complimentary bite-sized offerings of finger foods like meatballs and tiny tacos that should please the kids. Signature go-with cocktails are available for $5, which should please some parents. If you have already cruised with Carnival, you know that they are chock-full of kid-pleasing activities and supervised clubs for children ages 2-17. The newly introduced innovations are sure to take the fun up a notch, increasing the array of options for cruising families. With stress-free departures from New York, and typically good values for cruise vacations, local families may want to consider Carnival Cruise Lines for their next holiday at sea.